The action came three months after the FDA approved its first nonsynthetic, cannabis-derived medicine, a CBD preparation for rare types of epilepsy. The drug, Epidiolex, is made from cannabis grown in the United Kingdom. To read more about how the DEA action affects the broader CBD industry, click here. Unfortunately, we are not “one step closer to finally ending prohibition”. Artisanal and small companies do not have the resources to pay for FDA style approval. What we are is one step closer to assuring that large pharmaceutical companies can dominate the federal medical marijuana industry. That’s why the pharmaceutical industry spends more on lobbying than any other industry. Absolutely right! I wish my usual indomitable Pollyanna nature could see this as a good thing. It is not. Let’s be real folks… those of us who are actually in this industry for the right reasons, and supporting each other in the right way… are very clear… Rescheduling is NOT the answer. Doing so only puts big Pharma in the driver’s seat, limits patient access, stymies small businesses, and demonstrates little focus and support for the farmers who are genuinely and passionately committed to organic and sustainable practices. This move by the DEA also does not authentically or even adequately address or benefit the hemp movement, nor does it address the myriad needs we hope would be ratified in the current proposed hemp / agricultural bill. The only solution here is to DESCHEDULE and that must be done in partnership with decriminalization and expunging records of those carrying minor (possession) drug offenses. Then we can comfortably say we are united in this, a bi-partison issue — standing together in — and doing what is ethical, practical, and necessary where cannabis is concerned. ps I do a lot of discussion on this in my book, The ABCs of CBD, if anyone cares to read it… forgive the mention of it… not meant as a “plug” as much as I wrote it to be a legitimate (and open-hearted) resource. Legalization and tax like Alcohol and Tobacco. PRESIDENT TRUMP can do this. “Tax & Regulate” is how we got in this mess in the first place. See Wikipedia for “Marihuana_Tax_Act_of_1937”. Those who ignore history are doomed to repeat it. Such sound logic. You should run for office. This does not even begin to change the status quo, as CBD is more effective with some THC. This move simply legitimizes the ability of big pharma to begin taking control of the market. This is an unacceptable compromise. Big pharma has been poisoning us for years with their long list of side effects. The same will happen to Cannabis if we don’t act now. Ttue..Did youvknow that GW Pharmaceutical is own by Bayer..
Im an Independent Cannabis researcher who created the 1st Cannabis inhaler..Not CBD inhaler..
Eric is right on the money (sic) for sure as this isn’t the step we (aromatherapist) want as they are putting cannabis into the hands of big pharma and asking them to control it not the cannabis industry and assuring that the feds make their money off this again like alchohol and drugs. This is a step in the wrong direction. They know this and think this industry is going to be excited by this move, but instead we are educated in the ways of the system and those of us who know cannabis is the health answer for so many illnesses, we will continue to chip away at the “system” to bring people wellness. If only cannabis could configure our brains to think alike there might be hope for both the insurance industry and the medical world of hospitals, doctors and clinics. Patients are suffering and dying at the hands of these “so called professionals” of healthcare and big pharma is facilitating that death is the result not healing or curing. We need a conscious raising in this country and sooner than later. This only helps the Sackler family. That’s right the people that make OxyContin. It’s total bullsh*t that organic growers like myself put our entire life into making things right. Then billionaires like the Sackler family come along and ruin an entire industry again. Shame on the Sacklers, shame on anybody that purchases their crap. Eric is absolutely correct. Big pharma is trying to get their hands on CBD profits. Well said Eric. Big pharma is big bully! Now comes the money games. One cannabidiol product, to my understanding. Epidiolex. As a consequence of the FDA’s action, the Drug Enforcement Administration (DEA) today re- scheduled Epidiolex, and any future FDA-approved CBD drug, under Schedule V of the Controlled Substances Act. Read the full unpublished order here. 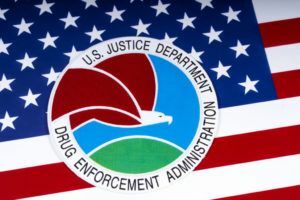 Today the DEA announced that Epiodiolex, a highly purified, pharmaceutical firm of ?BD, will be placed under schedule V of the Controlled Substances Act. In doing so, DEA noted that the drug no longer meets the criteria for schedule I, following FDA’s approval of the drug for certain medical conditions. DEA also indicated that any material, compound, mixture, or preparation other than Epidiolex that falls within the CSA definition of marijuana set forth in 21 U.S.C. 802(16), including any non-FDA-approved CBD extract that falls within such definition, remains a schedule I controlled substance under the CSA. DEA RESCHEDULES EPIDIOLEX – NO IMPACT ON HEMP-DERIVED CBD ——–Google this. Cannabis is category 1 unless WE are making MONEY from it. They, being the DEA ARE ABSOLUTELY THE WORST TYPE OF CRIMINALS just below child molesters amd murderers, absolute CRIMINALS and so full of sh*t the administration is sickening. THEY NEED TO BE STOPPED. and all of their nonsense tactics. Finally, something is happening after all the hardship. CBD is an incredible molecule especially when it comes to health care. At last, DEA understood its importance and took this amazing step. But, this is just a start. Personally, for my condition, CBD is helping a lot. I purchased this amazing product, and my life changed tremendously. With the 2018 farm bill looming the FDA is going to have to make up its mind, 1% or 3%? It took a republican government to get CBD rescheduled after all the promises from democrats. We should be happy we have come this far. Trump said he will leave it to the states and the loser sessions went against him. It is time for use to petition our local government officials to do as we ask and not what they feel is best for them. California is one of the worst offenders of doing what is best for the officials to keep power and take it away from we the people. They have put all mom and pop growers out of business regardless of race. Stop with the race and religion BS it is nothing more than a tool for the democrats to keep we the people from being united and taking back the power they horde to control us with. Be happy and love one another. We can overcome all if we the people unite. First step never let a politician have more than 2 terms in office. Make PhRMA and the Justice Dept. pay restitution to their victims. Deregulate completely. Punish the dirty little killers.